Just a few weeks ago, iStorage sent us the Disk Ashur Pro2 HDD to review, which featured industry-leading security credentials and a 1TB hard disk drive. 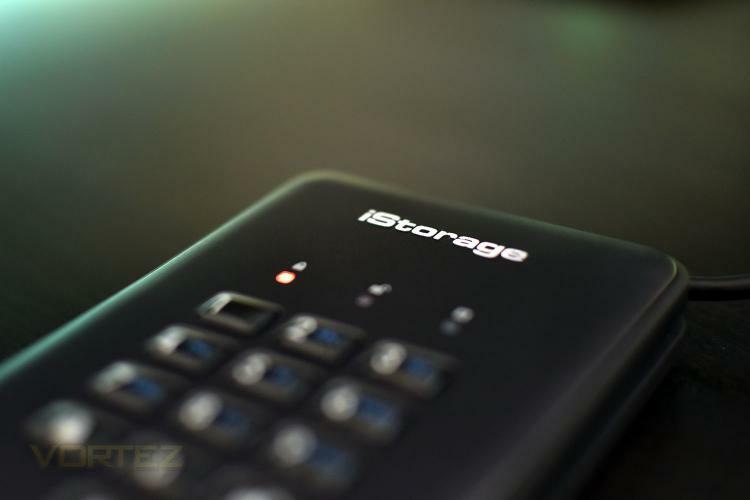 iStorage then offered us the opportunity to review the 1TB SSD model. While the two reviews may end up being very similar, we thought it was worth delving into anyway. The Disk Ashur Pro2 SSD model, with 1TB of storage in our review sample, offers read and write speeds way in excess of its HDD brother, quoting up to 294MB/s and 319MB/s in read and write, respectively. Also, due to the additional robustness of solid state storage, drop protection should be improved somewhat. Another big advantage of solid state when compared to hard disk drives is the loss of weight, the SSD model tips the scales at 180g while the HDD models weighed 225g/331g depending on capacity. the Pro2 is the world’s first and only NCSC CPA, FIPS 140-2 Level 3, NLNCSA BSPA and NATO restricted level certified encrypted portable solid state drive, allowing the end user full faith that their data is in safe hands. Furthermore, the drive doesn’t just feature paper documentation designed to keep your data safe from would-be attackers, it’s also resistant to dust and water with IP56 certification and is Operating System agnostic, meaning it will run on almost anything with a USB port. Capacities range from 128GB all the way up to 4TB. The 1TB model we’re reviewing today costs over twice as much as the 1TB HDD model reviewed a few weeks back, so what exactly does the extra money buy you?